One of the star attractions on Mt. 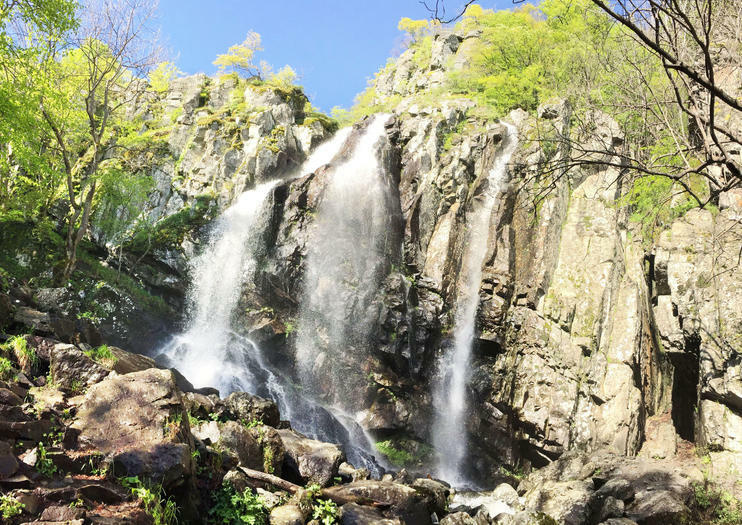 Vitosha, the massif just outside Sofia, Boyana Waterfall tumbles 82 feet (25 meters) down a stark rock face amid shady forest. It’s a tranquil, unspoiled spot that makes an excellent focus for a walk in the national park. One popular route goes by way of Boyana Church, a UNESCO World Heritage Site. There are no charges to visit either Mt. Vitosha or the Boyana Waterfall, and the two different routes to the waterfall from above Boyana Church are clearly marked. You don’t need a guide (or a tour) to experience Vitosha, but many travelers feel more comfortable with someone to break through the language barrier. If exploring solo, choose the slower and less steep of the two paths in case of accidents. Boyana Waterfall is a must for nature lovers and hikers. There is no water available on the route, so bring plenty from the city. Do not attempt the steeper route when there’s rain or ice. Even for the easier route, sturdy shoes or sneakers are a must. The forested mountain paths are challenging for people with mobility issues. Start from Boyana Church, which is reachable by bus 64 from the Vitosha metro station, and head uphill. Once you enter the wilderness, you’ll find a signboard. Soon after this, the path splits into three. The riverside path is the steepest, but fit travelers can hike it in as little as an hour. It can be very slippery if there’s rain. Alternatively, follow the green trail for Boyana Lake until the turnoff for the waterfall. The Boyana Waterfall is at its most impressive in spring, generally late March and April, when melting snow turns it into a roaring cascade. But it’s also a great way to escape the city during the summer (roughly June until early September). During winter, the falls often freeze, and ice can make paths slippery—some hike wearing snowshoes. You can spend the best part of a day exploring Boyana Church, Boyana Waterfall, and Boyana Lake. But there are plenty of other hikes to be had in Vitosha Nature Park, many within easy reach of Sofia city. Two of the most popular start from the Aleko Chalet, at the top of the Simeonovo cable lift. One runs to Kamen Del viewpoint; another goes to Cherni Vrah, the highest point on the Vitosha massif.